This might be related to the comment about nebulae in the solar system map. Basically whatever was done with the skybox is causing green/black stripes when I'm fullscreen in the probing window. If I rotate around, I can see that it's not pure black, but there is a nebulae and stars in the background. I submitted screenshots in the bug. Please go back to the pure black background. The striping issue is a problem, and the nebulae is just distracting. When adjust the position of your probes that are close to the anomaly you are scanning, the radial menu over the anomaly will open up & halt your progress of trying to click & drag the probes. I honestly don't even see the need for a radial menu in the scanning map, you can just use the probe scanner window. Can we have smaller "Solar system map" button. Someone may actually find it. This new update is a pain. Seems that those people who developed this redesign have absolutely ZERO experience in UI/UX design. Reversed ALT+MW probes range. Why!? You just forcing people to get used to new reverse direction. It's just plain wrong. You must at least add an option to revert this back. I'm not the only one -- this was mentioned in this thread. Scan map... It's a pain now to judge the signature size with this unneeded overlay and those almost not visible red orbs. Pain. Also mentioned in this thread. Solar system map button have such a "huge" dimensions -- are you kidding? I just can't understand the "designer" here. It's pain (especially in windowed mode) to use (and, again, we get used to a different) new buttons that now suddenly moved to the bottom. Why you did that?! I see no reason for that. Look at this screenshot. I get used to have this probe scanner window in that place and now I have buttons in bottom -- a good way just to miss and click outside the Eve game window. I have multiple monitors and that's why I'm playing Eve in windowed mode. All other issues are nothing for me relatively to those 3 HUGE points above. Please, give us an option to revert back or customize those things. No signature is selected, but I can also barely see any signature. I often see the biggest cluster of signature to mass probe them. Yes, you are not the only one. On my map even worse. I can barely see orbs until selecting a signature in the list. I still don't get why on earth a super advanced million isk space ship, can't remember the type of cosmic signature after you dock and jump . I get that things have to be hard in Eve, but do they have to stupid and cumbersome. Please make it so, that if you scan down a cosmic signature to 100%, it will remember the type. Perhaps for like two hours or if you get more that 5 jumps aways. I don't want this crap, give me my old scanner ! Just what I need ANOTHER thing opened on my screen to clutter it even more. I am an explorer among other things. A good deal of my time in game is spent scanning. When I first saw the new scanning system I thought that it lacked the ease of use and functionality of the previous scanner. I understand the need to update some of the games systems, legacy code is difficult to work with when notes are not accurately kept, and you loose the talent that created it in the first place, but WTF? I would think that a new scan system would be better, easier to use, offer more functionality. But no, not only did we loose a lot in the transition to the new system, but it is far more cumbersome and does not work nearly as easy as the previous system. 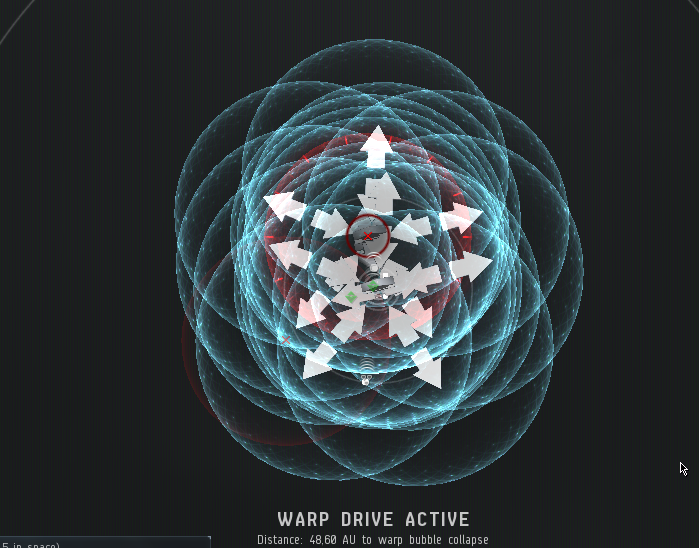 It seems to me while focusing on the graphic content, that CCP has lost the talent that built the game mechanics we expect from CCP. Why else would an older system work far more fluidly and better than the new? The game is becoming less enjoyable, less fun to play. Removing the in game browser completely changed the way that I search for potential systems that may be worth exploring, forcing me to use a in game system that is difficult and cumbersome. Dotlan was amazing in this regard. And now the scanning system is totally ruined. Seriously, it's like sucking chunky crap through a slurpy straw. If you want to increase the number of active subscribers, of people who buy plex, of those who wish to play the game to it's full potential then stop, stop right now, adding content that makes the game more difficult to play. We already practically need to be data analysts to play the game, and now we have to figure out how to use broken, practically useless systems to play the game we loved the way it was. Get it right, you had over two years to create a system that was better and you blew it. You ruined it. YOU the DEVs. It's broken, it's cumbersome, it doesn't even look good and I would have expected at the VERY LEAST that. Put the menu back that allows the ease of use and identification of potential scan sigs. I don't want half my screen blocked out by a giant display. Allow the expansion and contraction of the scan probe area ON SCREEN, it's faster, and far easier to use it this way. Please, get your act together, and don't take 2-3 years to fix what you broke. And until you fix it, employ the old system so that those of use who are explorers can continue enjoying the game~! I don't know if this has been covered or not, but previously you could open the dscan and probe windows by pressing the hotkeys that cycled each. Now it's tied specifically to a hotkey that opens the windows. For whatever reason, the dscan window still opens when you try to dscan, but the probe window doesn't. I much prefer the color progress indication of the line items of the signature/anomaly window to be solid rather than a thin bar. Also a big one for me - no matter how you prioritize the order of line items in the sig/anom list things jump around wherever they re-categorize to as their scan progress changes, it's infuriating. You used to at least be able to organize the items by anomalies/signatures top/bottom of the heap but this no longer seems to be possible unless I am missing something? Its distracting and slows down what would otherwise have been strait forward in the old system. IMHO there should be some way to lock all of the items in the list where they are so that you don't have to go on a visual wild goose chase every time a scan cycle completes. 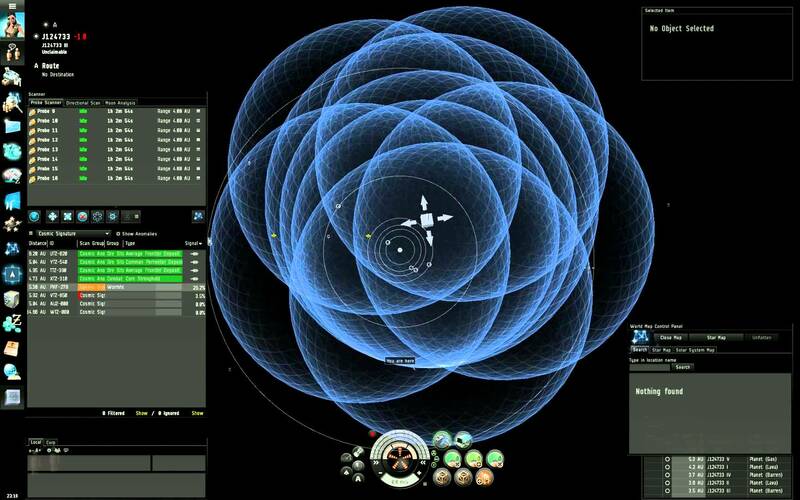 Please CCP, bring back the old probe scanning UI. The view is better. Furthermore, the new one is overheating my graphics card. Hope to see the old one back in game. Just tried the new probe scanner for the first time. It's awful. Please at least give us the option to change the alt hotkey for probe size to any other key. Regarding the new ui, what were you thinking? http://i.imgur.com/OfBDlDU.jpg is the old scanner. http://i.imgur.com/O4zH8kh.png Is the new scanner. Sure, there's twice as many sigs in the 2nd picture, but the beauty of the old scanner was that the amount of sigs didn't matter. When you highlighted 1 sig, all others disappear. A couple sigs in a cluster with the new scanner is awful. When you have shattered wormholes that have 30, 40, 50+ sigs, it's just so messy with the new scanner. The old scanner was so clean, and simple, and usable. The new scanner is just unusable for me, it's just downright tedious and I can't remotely enjoy it like I used to. The old scanner you could easily see what you are scanning, what you have scanned, and what you haven't scanned. I do like that the new scanner ui isn't green until the signal is 100% but that's it. When you click on a sig to scan specifically that sig down, it just highlights the sig you click on. The old probe map, all icons but the one you have selected disappear. Having more than a handful of sigs this looks very cluttered. The difficulty level should be toggle-able on/off. Same with tooltips. The button to open up the solar system map is too small. I always used F10 for the solar system map anyways, so this doesn't bother me. The new probe map is F9, but you can switch it to F10 to keep the muscle memory. The button to open the map should be more easily visible. 1. Use the scrollbar on the scanner menu. 2. Set hotkeys to move the size up and down. 3. Use Alt+LClick on the edge of the bubble to drag to size. They made this change so you don't accidently click on brackets when you drag the bubble. I never heard anyone complain that this was even a problem. I found it so much easier to just drag to resize from the bubble's edge. How hard would it be to add a checkbox in settings to drag probe size with or without holding left alt? Also, you can't change alt to any other key in shortcuts. If that's already your PTT, you'd either have to change your PTT, or constantly hot mic. Please give us the ability to customize and configure our probe scanner to some extent. Not being able to drag your probes to resize is actually one of my least favorite aspects of the new scanner. You could make everyone happy by adding a checkbox to enable, or disable that one feature. I'm sure some people like seeing all the sigs when they scan, add an option to hide all other sig icons and circles if you select one sig. All I've read in the feedback forum, and everyone I've talked to about the new scanner all share the same similar thoughts. I don't like scanning anymore, and I've seen a lot of people slow down, or simply stop scanning because of how tedious it really is. Please buff wormholes by giving our QoL back. 2) Make The Show Solar System Map Button More Noticeable? Maybe with color or a pulse animation. 4) Option for Resizing probes by clicking/dragging that was removed.